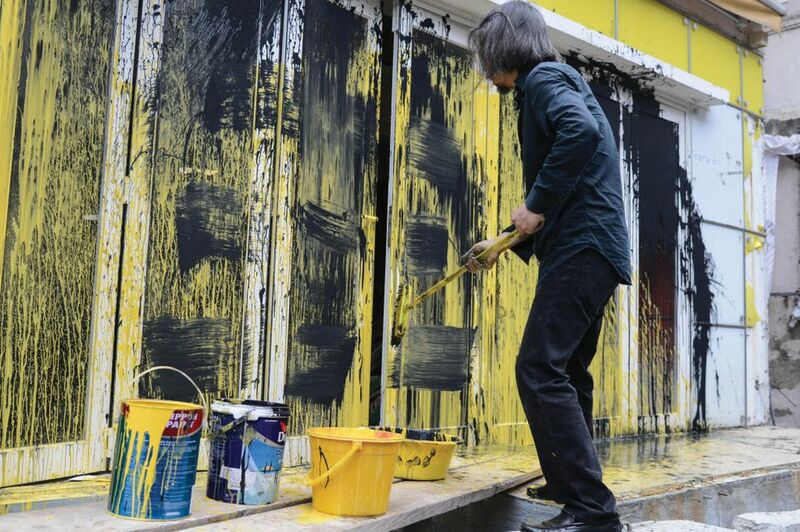 On the eve of Art Basel in Hong Kong’s private view on Wednesday, the Beijing-based artist Huang Rui took to the streets of Central for a paint-splashed performance about the cyclical nature of history. The piece was a tribute to Lee Wen, the pioneering Asian performance artist who died early this month. Huang is also in town for a 40th anniversary exhibition of the Stars Art Group (Xingxing) at 10 Chancery Lane’s stand at the fair. In 1979, the group of 12 avant-garde artists mounted an unofficial exhibition on railings outside the China Art Gallery (now the National Art Museum of China) in Beijing, and marched to protest against artistic repression in the country. The exhibition is considered a pivotal moment in Chinese contemporary art. The fair display features documentation of the events and some of the original works, plus new pieces by Huang and fellow Stars Wang Keping and Ma Desheng. 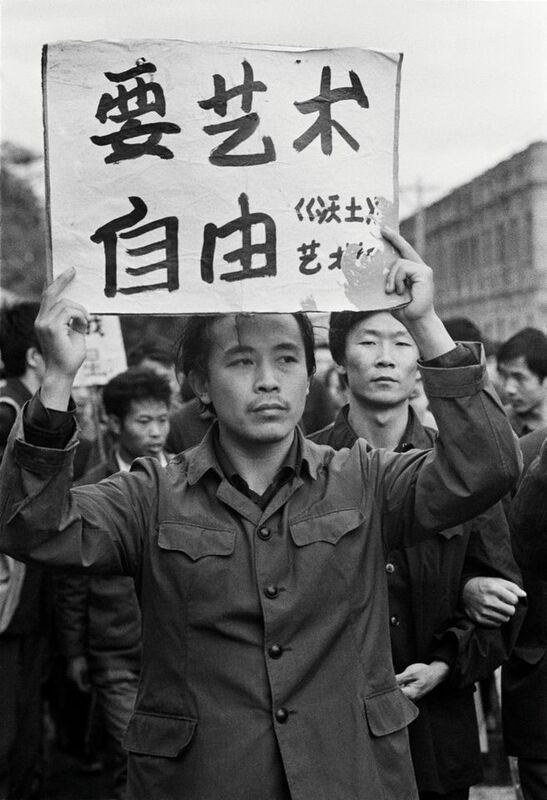 It also includes images from the time taken by the photojournalist Liu Heung Shing. “We chased artistic freedom then, and there’s still very little of it now,” Wang says. 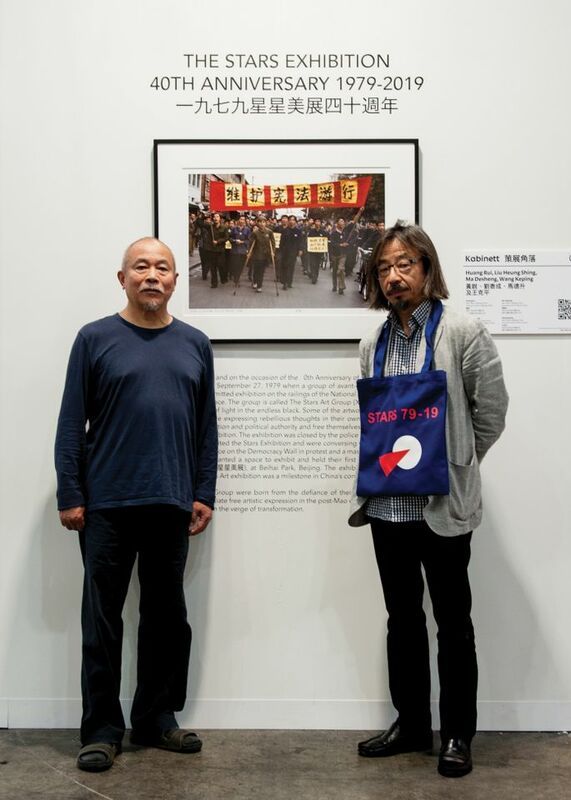 The group, which disbanded in the 1980s, also included Ai Weiwei, Zhang Wei and Zhao Gang. “This show is like a museum, in ways that other booths [at the fair] are not, with both history and art,” Wang says. The artist’s works are also on show at 10 Chancery Lane’s gallery in Central (until 11 May).